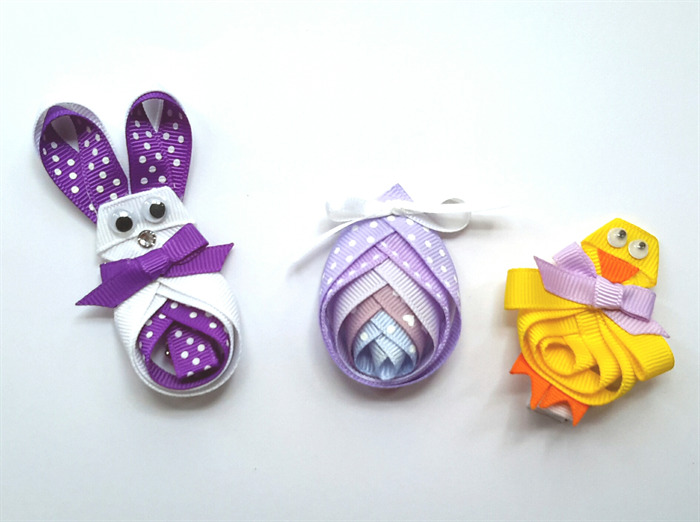 Cute bunny from grosgrain ribbon with googly eyes, twinkly diamante nose and a cute bow. His little chick friend is dressed up with a bow for Easter, too. 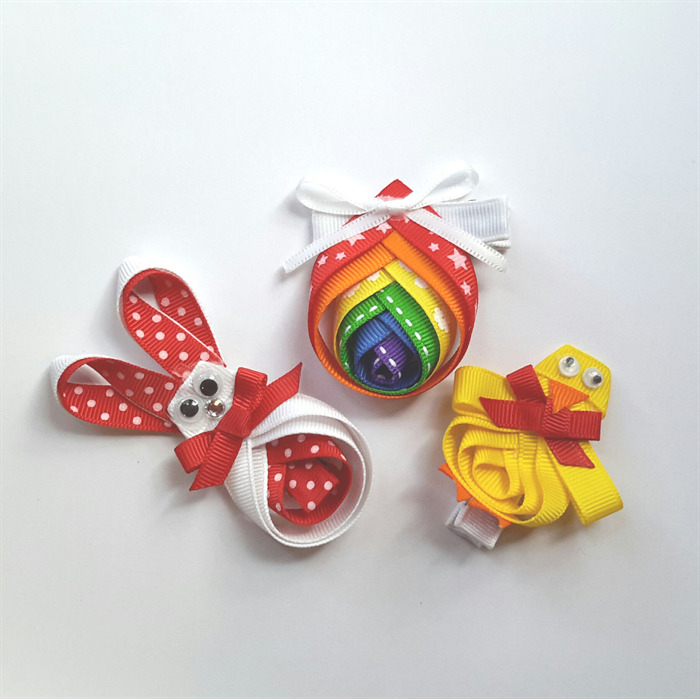 And what is Easter without a gorgeous coloured egg! 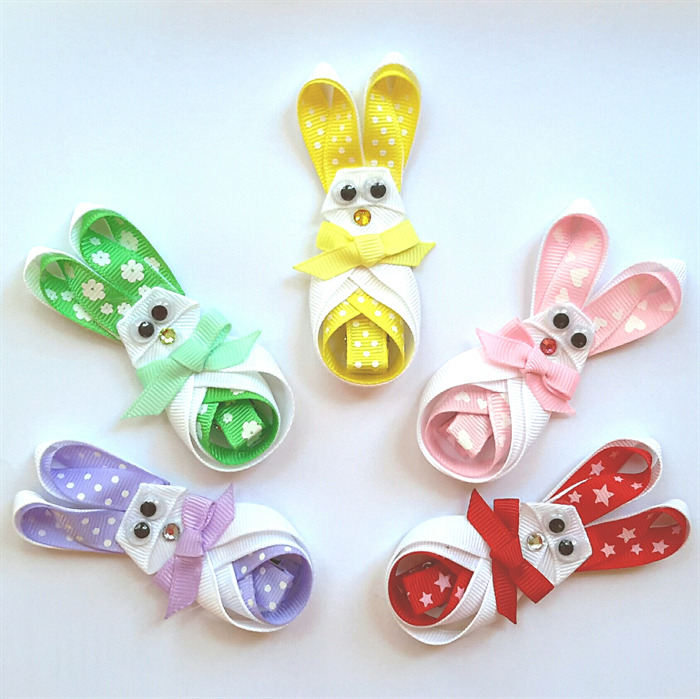 Bunny has a width of approx 3.5cm and height of 7.5cm, Chick 5cm x 5cm, and Egg 4cm x 5cm. 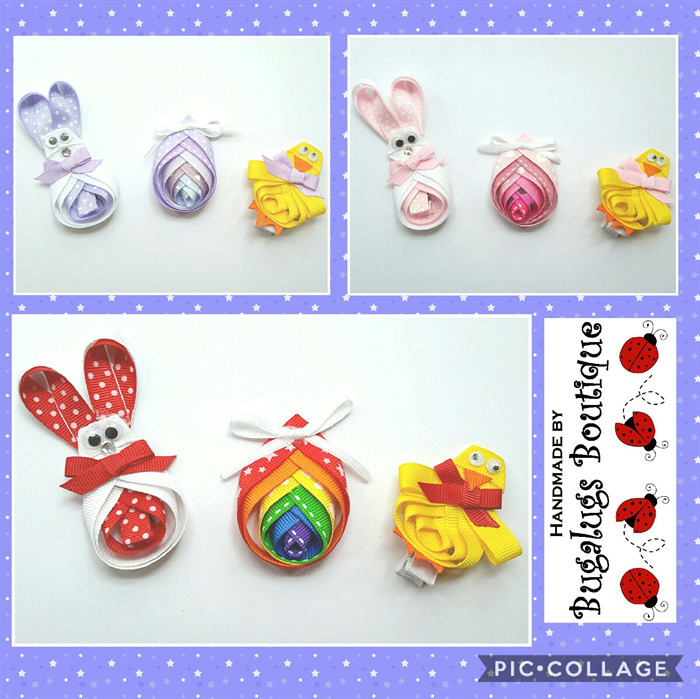 All on a ribbon-covered 4.5cm double-prong alligator hair clips. Please specify preferred set colour in Notes to Seller at checkout. All ribbon ends have been heat sealed to prevent fraying. Decorations firmly glued with hot glue. Hand-made with love and care by myself, with all styles test-driven by my 4 1/2 year old Bugalug. Please supervise young children while wearing hairclips, as small items are a potential choking hazard. 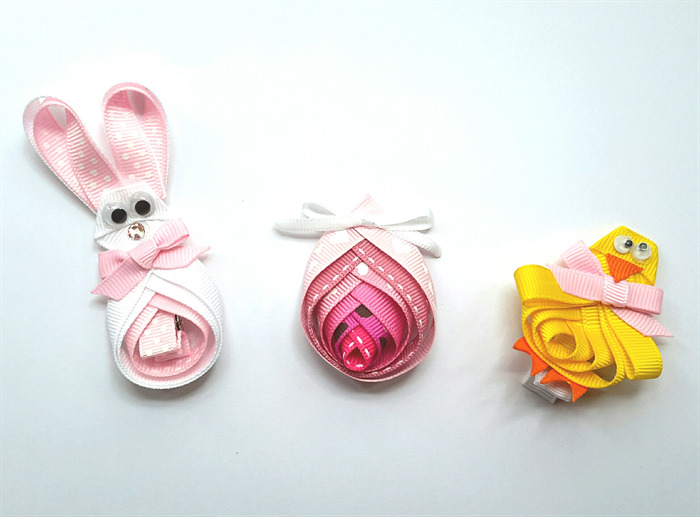 Hairclips are meant to be worn and admired, not for sleeping in or chewing on!